Mobile Music Revenues to Reach $5.5 Billion by 2015, Although Growth Threatened by Online Piracy, According to Juniper Research - A new report published today by Juniper Research forecasts that music consumed on mobile handsets will generate $5.5 billion annually in 2015, a rise of $3.1 billion from 2010. The report finds that mobile music is becoming an increasingly important part of the digital music sector, which is propping up a failing industry hit by over a decade of widespread online piracy. Since the popularisation of P2P file sharing at the end of the last century, the music industry’s sales have gone into free fall, as consumers rejected the physical distribution of music in favour of easier, but illegal means of acquiring it. The industry response was initially slow, but legal digital distribution services, such as Apple’s iTunes are now blossoming, and mobile handsets are increasingly becoming the key platform for them. Fully-enclosed 250 Watt fanless ac-dc power supplies featuring a 12 Vdc output and a wide operating temperature range of minus 40 to 85 degrees Celsius are launched today by Emerson Network Power - a business of Emerson and the global leader in enabling Business-Critical Continuity™. Ideal for demanding sealed box and outdoor applications, the new LCC250 embedded power supply series includes conduction-cooled models providing full useable power at elevated temperatures, offering a very cost-effective alternative to conventional power supplies. The Emerson Network Power LCC250 power supplies are housed in a robust fully-sealed enclosure offering IP64 protection against the ingress of dust and water. This makes them ideal for applications that require the power supply to be located in the same outdoor environment as the equipment it is powering, such as bulk power for outdoor signage and for telecom installations such as antenna and base station equipment. Beats Studio by Dr. Dre - Hi-Def Noise-Canceling Over-Ear Headphones - Experience Dr. Dre Sound at King Ice - Hear what artists hear with a new line of high definition headphones by Dr. Dre now available at King Ice. King Ice announces a partnership with Monster Cable® in offering Beats by Dr. Dre, a line of high performance on-ear and in-ear headphones. Beats by Dr. Dre have risen in popularity since being introduced in 2008. Supported by accomplished individuals in their respected field including DJ's, producers, musicians and celebrities, Beats continue to gain ground in the headphone market. Beats by Dr Dre are manufactured by Monster Cable®. 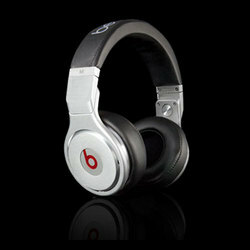 Made for and endorsed by Dr. Dre, the line focuses on professional sound quality. Features include noise canceling isolation technology plus digital amplification for crystal clear organic sound. The diversity in offerings range from over-the-ear high definition headphone like the Solo™ series to in-ear high performance buds such as the Tour™ series. Beats by Dr. Dre are suitable to a wide range of uses from the music studio to the gym. Feeney Wireless™, a leading provider of wireless mobile and M2M solutions, today announced the launch of a new division, VaraSight™ Surveillance, which specializes in wireless camera solutions and cellular-based video surveillance products. The new brand will operate as a division under Feeney Wireless. 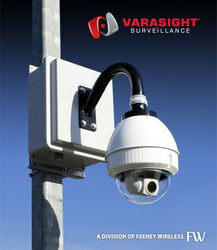 VaraSight Surveillance designs wireless camera surveillance systems that are simple to manage and easy to deploy. The new division leverages the engineering heritage of Feeney Wireless to produce user-friendly wireless camera systems – including the design of custom components, assemblies, mounting equipment and integrated network video recorders. VaraSight will also serve as an e-commerce outlet for wireless video and camera products, including network cameras, software, wireless equipment and accessories. 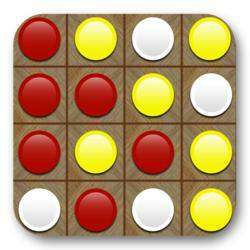 Original Strategy Board Game App for iPhone iPod Touch and iPad FOURSIGHT™ Arrives in the Apple Store and On Facebook - Original Strategy Board Game App from Clinical Psychologist. Promotes the Life of the Mind Through Play on The Go or At Your Desk. Software development company, Digital Dopamine Entertainment™ announced that FOURSIGHT™ is now available for purchase at the Apple®, iTunes® App Store and in the Lite version on Facebook. A game of CALCULATION & DECEPTION, which describes itself as “Depth without Complexity”, is priced at $.99 and can be downloaded at appstore.foursightapp.com. Created by practicing clinical psychologist, Reid Daitzman, Ph.D., FOURSIGHT™ is an all new board game app rivaling classics like chess -though easier to learn, master and ultimately enjoy. Though built purely to entertain, playing FOURSIGHT™ further contributes to learning “foresight” (hence its name); promoting critical thinking skills and expanding the life of the mind through play. FOURSIGHT™ primes players to plan ahead (in this case) against 3-levels of artificial intelligence- providing encouragement and rewards along the way. “It’s about promoting the life of the mind in a fun and engaging way,” explains Daitzman. 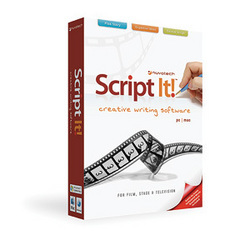 Creative Movie Script Writing Software - Script It! Nuvotech Invites People to Unlock Their Imaginations with Script It! Creative Writing Software - Nuvotech announces the retail release of its new story outlining and movie script formatting software Script It! for Mac and PC. UK technology company Nuvotech, known for its professional screenwriting software Movie Outline® and innovative cloud service for script copying and shipping Hollywood Script Express, today announced the availability of the much anticipated boxed version of its popular cross-platform creative writing package Script It!™ for Mac and PC. This retail ready update also includes three scene by scene story breakdowns and analyses of Hollywood blockbusters Ghost, Spider-Man and Scream, and will be available both as a download and through retail stores and dot coms across North America, and - as a result of a new distribution deal - now also in the UK. Updated Versions of Burning Software from DVDVideoSoft - DVDVideoSoft has updated free burning applications: Free Disc Burner and Free DVD Video Burner. DVDVideoSoft releases updated versions of two widely popular programs - Free Disc Burner and Free DVD Video Burner. These programs have been enriched with new burning engines which facilitate the whole process of operating the programs. Due to global internal changes, the programs have become more stable and reliable. This will help to eliminate all the errors which occurred previously. However, the programs are still simple in usage and functionality. Free Disc Burner is a special program to write any files, folders and data to any disk. The program supports burning of .ISO (disc image) files. This feature diversifies program's capacity and renders new perspectives in usage. Mvix announced a new affordability level in Digital Signage Solution by introducing an incredibly low- price signage player: Mvix DLite (pronounced, “Mvix Delight”). Priced at $189, it is targeted at the small to medium-size applications like trade-show and event video displays, independent convenience stores, small retail establishments, individual office locations and real-estate applications. 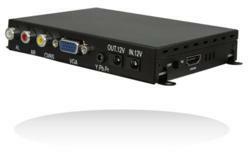 Mvix Dlite is a powerful, ESS-based signage player capable of up-scaled video output of upto 720p. With an in-built scheduler, the signage player provides pre-scheduled boot-up and power-down capability along with auto-play and auto-loop functionalities. Mvix DLite is capable of playing videos and image slideshows – both in horizontal (landscape) and vertical (portrait) orientation. New XMC Module with Configurable Spartan-6 FPGA Targets Cost-Sensitive Embedded Computing Tasks - Acromag’s new XMC module employs Xilinx’s cost-optimized Spartan-6 FPGA to help engineers with tight budget and time constraints solve high-speed DSP, logic, and algorithm computing challenges. To address the need for low-cost configurable FPGA computing solutions, Acromag released new XMC-SLX mezzanine modules featuring an economical Xilinx® Spartan®-6 FPGA. These thrifty XMC modules still provide plenty of computing power for custom signal processing and algorithm acceleration with the FPGA’s integrated DSP, logic, and memory resources. The Spartan-6 FPGA’s logic structure also leverages the premium-performance Virtex FPGA platform’s architecture and system-level blocks for faster, easier and more compatible development. 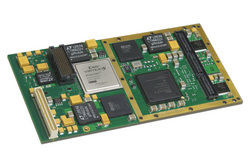 Acromag supports the FPGA with a high-throughput PCIe interface, generous memory, and convenient access to field I/O signals. Typical uses include hardware simulation, in-circuit diagnostics, communications, signal intelligence, and image processing. Pricing starts at $2895 with options for extra memory and extended temperature operation. Kogan launches with LivePrice™ in Australia - Kogan today launched LivePrice in Australia, an improvement to online retail that results in unprecedented prices on the latest products. Kogan today launched LivePrice in Australia, an improvement to online retail that results in unprecedented prices on LED TV and LCD TV product ranges, as well as a wide variety of gadgets and home appliances. If you buy a product while Kogan are still busy creating it, you'll now be rewarded with a price that you never thought was possible. Take a look at some of the products that currently have LivePrice enabled to see the insane prices on offer. Bargains can be grabbed across a range of products. Whether you are looking for a digital photo frame, TV DVD combo or just in search of fantastic LCD TV deals, Kogan is undoubtedly the best value electronics retailer in town. LivePrice offers range from 19" & 26" Full HD LCD TVs with built-in DVD & PVR all the way up to a 55" Full HD LED TV crammed full of features. Now buying a cheap TV or LED TVs doesn’t mean you have to skimp on quality. WavePad Audio Editor New iPad HD Version - Pocket WavePad HD is one more way to easily record and edit music, voice, and other audio while on the go with your iPad. NCH Software, the leading provider of audio, video, business, telephony and VoIP tools and utilities worldwide, today announced the release of Pocket WavePad HD Audio Editing Software for the Apple iPad. This new release is an upgrade from the iPhone version of WavePad from October 2010, and takes full advantage of the iPad’s larger screen for precise audio selection and editing for iPad users. The iPad Pocket WavePad HD Audio Editor will provide a remarkably easy way to record and edit audio, voice and other sound recordings while on the go. 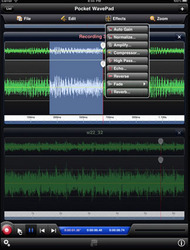 Recordings can be exported from Pocket WavePad for you to share, use, or even broadcast later. Digital Camera Still Top Device for Taking Pictures, According to The NPD Group - Mobile Phones Come in a Close Second - While mobile phones continue to increase share of voice and share of image capture, the dedicated camera remains the image capture device of choice by most consumers, according to leading market research company The NPD Group’s December 2010 Imaging Confluence Study. The device with the largest percentage of all photos taken was the digital still camera, at 51 percent. 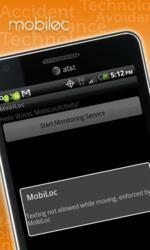 Close behind, however, was the mobile phone, at 42 percent. Demographics play a factor in which device consumers choose for image capture. 13-17 year olds reported taking 54 percent of their photos with a mobile phone and 36 percent with a camera, while Moms reported taking 40 percent of their photos with a mobile phone and 55 percent with a camera. 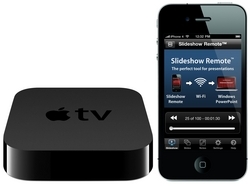 As more devices are capable of both still and video capture, the usage pattern for video also skews towards cameras. There was nearly an even split among amount of video captured on mobile phone versus camera, at 35 percent phone / 34 percent camera. Only 27 percent of video was reported being recorded on either a traditional or pocket camcorder. Everything You Need to Know About the New Casino Table Game Quick Seven® Before It Hits the Online Casinos bet365 and Paddy Power - Learn everything about the new casino table game Quick Seven® before it hits the online casino bet365, via the Finsoft software platform, as well as the online casino Paddy Power, via the OpenBet software platform (formerly Orbis Technology Ltd.). Quick Seven®, unlike most casino games, allows players a chance to get involved in the game by making discard decisions, pressing existing wagers, hedging losing wagers, and the ever popular hitting of the hands. Within the first quarter of 2011, the new casino game Quick Seven® will be added to both the Finsoft software platform and the OpenBet software platform (formerly Orbis Technology Ltd.), via our partner Electracade Ltd., with the online casino bet365 leading the launch for Finsoft and the online casino Paddy Power leading the launch for OpenBet. 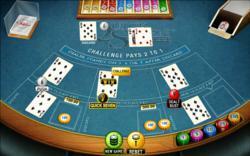 -If the player's initial card dealt is six or less, the dealer deals to the player's hand until it totals seven or greater. If greater, the dealer will discard one card of the player's choice, leaving the player with the option to hit or stand. GeoSurf Enables Casual Gaming Professionals to Surf Locally - Without Being Local - GeoSurf™, the toolbar that enables users to get the local perspective in 70+ global locations, is coming to Casual Connect, the casual gaming show in Hamburg, with a special offer. A free, no-obligation enterprise package will be presented to anyone who is interested in surfing locally...without being local. GeoSurf™ (GeoSurf.com) has sent an elite team to the Casual Connect show in Hamburg with a special offer. Anyone who is interested in trying out the application, which enables users to get the local perspective in 70+ global locations, will get free access simply by speaking with a GeoSurf™ team member. "The casual gaming industry, like many other sectors of online media, greatly benefits from GeoSurf™," said Oren Zafrir, VP Sales. "They can use our straight-forward toolbar to access our network of servers located all over the world, including over 20 high-value US metro areas. By accessing our servers to surf as a local user would, QA personnel can validate their titles, as well as their payment and user funnel. 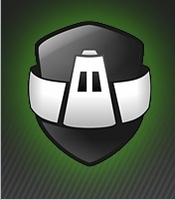 Sales personnel have been using GeoSurf successfully to qualify new distributors and advertisers. And the Media personnel with GeoSurf in their arsenal have been discovering new traffic sources working across numerous geo-targets." Cupcakes Gone Wild! iKandl™ is the Fun and Eco-Friendly Birthday App for iPhone - iKandl is an interactive, multimedia birthday and special occasion app for the iPhone, iPod touch, and iPad. The new version of iKandl includes adorable animal cupcakes, a built-in birthday calendar, plus support for multiple languages. Brothers Technology, LLC has released version 1.3 of iKandl™, a new social networking birthday app for Apple mobile devices. iKandl allows users to send friends and family fun, interactive, and personalized greetings. 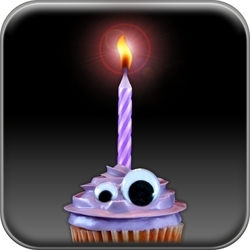 Each iKandl greeting includes a live voice recording and choice of irresistible cupcake with lighted candle. After listening to the greeting, the recipient can make a wish, “blow out” the animated flame, and then enjoy the celebratory applause. iKandl greetings are sent via e-mail and can be archived, shared, or forwarded to friends. Anyone with an iPhone, iPod touch, or iPad can download the iKandl Player for free directly from the iTunes App Store. 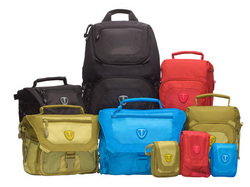 Leading the way in carrying solutions for over 30 years, Tenba announces today the new Vector Collection of consumer/prosumer camera bags. This unique collection of camera bags includes small camera pouches and top load bags for point-and-shoot cameras or an SLR camera body and one lens, plus shoulder bags and a daypack to fit larger camera systems with lenses. 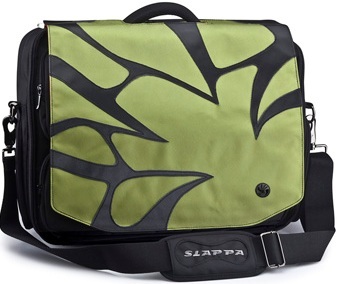 All bags are available in Krypton Green, Oxygen Blue, Cadmium Red and Carbon Black. Aleratec Launches New Blu-ray/DVD/CD Duplicators with LightScribe - These professional-grade devices feature cutting-edge 12X Blu-ray writers and built-in 1TB hard drives to provide ample space for disc images and label files. They are also capable of laser-etched disc labeling of DVDs and CDs using LightScribe technology. Aleratec’s new Blu-ray tower Duplicators are available in two different models which allow you to burn up to 3 or 7 Blu-ray, DVD or CD copies at a time with just a few button pushes. Each unit features a simple, intuitive interface that includes 4 instant-access “Fast Keys” for common functions including PC-Connect and Source Selection. In PC-Connect mode, units can be connected to a PC via USB2.0 cable for access to the duplicator’s generous 1TB internal hard drive. Users can simply drag and drop disc image and label files directly into the duplicator and be running duplication jobs in no time. These new standalone duplicators also include a dedicated Source drive, allowing the device to make disc-to-disc copies without sacrificing any write capacity. You can burn the same number of discs whether burning from the hard drive or from another source disc. The World’s First Wireless Electric Bike Begins Production - The time has come. The production on the Shadow Electric bicycle has begun. The Shadow Ebike is the first wireless ebike featuring wireless brakes, wireless throttle, and a wireless pedal assist system, with an integrated battery and motor design powered by the proprietary Daymak Drive technology. Ms. Yeg Baiocchi, Daymak Inc’s President and CEO, is pleased to announce that production has commenced on Daymak’s new electric bicycle, The Shadow Ebike. 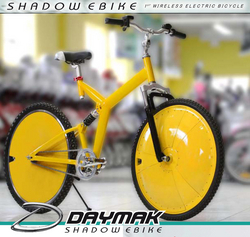 The world's first wireless electric bike, the Shadow Ebike is powered by the proprietary Daymak Drive, developed in Canada by Daymak Inc.
Do you have old VCRs, fax machines, printers or other electronic devices collecting dust in your home? Now you can recycle them for free at the Eastern Hills Mall and West Seneca locations of MacSolutions Plus, Western New York’s leading independent Apple Specialist store. This new service comes in response to the New York State Electronic Equipment Recycling and Reuse Act, which allows for recycling of the following covered electronic equipment: computers, televisions, small scale servers, monitors, keyboards and mice, fax machines, printers / scanners, cell phones, VCRs, DVRs, portable digital music players, DVD players, digital converter boxes, cable or satellite receivers, and electronic or video game consoles. Undead Labs, the premier developer of online world games for console gamers, announced today development of an original zombie-survival franchise in collaboration with Microsoft Corp. Developed by Undead Labs and published by Microsoft Game Studios, the inaugural title will be an open world zombie-survival game scheduled to launch on Xbox LIVE Arcade for the Xbox 360® video game system from Microsoft. 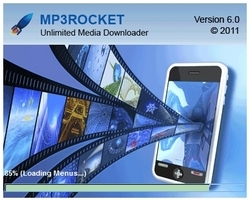 New MP3 Rocket version 6.0.1 Makes Nice With The Music Industry - Offers Improvements to Comply With Copyright Laws - Today MP3 Rocket (mp3rocket.com), an industry leader in music downloading released the latest version of their music downloading software. MP3 Rocket version 6.0.1 features faster, more reliable downloads and reflects the change from a P2P client to a YouTube music downloader and video converter. Over time the quality and quantity of files available over the Gnutella network has diminished leading MP3 Rocket developers to search for an alternative. That alternative presented itself in the form of a new YouTube downloading technology that enables users to access media files from a constantly expanding library. Leaving behind both Gnutella and Bit Torrent has had the additional benefit of bringing MP3 Rocket in full compliance with copyright laws. Send Animated Valentine's Day Messages with Swakker Cupid! 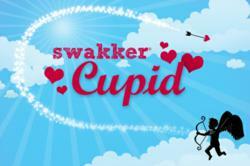 Spread Some Love this Valentine's Day with Swakker Cupid! - With Swakker Cupid, communication is especially unique because the user can now send full motion messages to people who can view the entire experience on any device. Friends and loved ones will watch on their mobile phone or computer while Cupid's arrow draws a custom design! Valentine's Day is just around the corner and what better way to say "I love you" than with a personal, beautiful message using Swakker Cupid? Spread some lovedust for Valentine's Day as Cupid draws personalized messages and patterns in the sky with his bow and arrow. It's a fun and easy way to tell that special someone, "Be mine." PADACS PowerCases Double iPhone 4 Battery Life - Innovative global iPhone accessories brand PADACS today launches two iPhone 4 cases that double the battery life of the power-hungry devices. The PADACS PowerCase PD-126-16 (US$49.95) and PowerCase PD-126-22 (US$59.95) weigh just 0.15lbs and 0.19lbs respectively, fitting snugly to boost the iPhone 4 handset’s battery life without making it bulky. As well as providing up to seven hours talk time on a 3G mobile network, the PADACS PowerCases greatly extend the time available for Internet access or playing video and audio content on the iPhone 4. In addition to boosting the battery life, the PADACS PowerCases also provide a protective casing for the handset’s back and sides. As a bonus, PADACS is including a free iPhone 4 screen protector with each PowerCase purchased. New Adobe InDesign CS5 with Adobe Digital Publishing Suite for iPad Training Offered From Webucator - Webucator, a leader in technical and business training, today announced the availability of their Adobe InDesign CS5 with Adobe Digital Publishing Suite for iPad course. This one-day course covering how to use InDesign, in conjunction with the tools in Digital Publishing Suite, to create interactive publications, complete with media and links, for publication to the iPad. This class is designed for experienced InDesign users who are familiar with basic features, such as style sheets, image placement and document management. * Learn to set up articles as iPad documents in InDesign. * Learn to create native interactive elements in InDesign. * Learn to use the Interactive Overlay Creator to add audio and video, and to create 360º rotations and other interactive elements. * Learn to use the Content Bundler to create folio files and manage articles within the issue. This course is offered publicly in an online setting with a live instructor or can be delivered privately at your office or a place of your choosing. For more information about this class, please visit our course listing. Internet Retailer Top 200 Merchant Motorcycle-Superstore.com Accelerates Sales Growth with the buySAFE 3-in-1 Guarantee - buySAFE, Inc., the leading provider of brand building and website conversion solutions and Motorcycle-Superstore.com, the web’s premier motorcycle retailer determined during a recent A/B test that buySAFE increased the Motorcycle-Superstore.com website conversion rate and sales on their site. Motorcycle-Superstore.com utilized an A/B testing methodology to objectively measure the conversion, sales and profit impact of using the buySAFE service. The results were objectively determined and highly conclusive. buySAFE increased Motorcycle-Superstore’s website sales via an increase in both website conversion and average order value. The test was conducted in December 2011 over a multi-week testing period, with the data proving highly statistically significant. The results translated into significant increases in sales for Motorcycle-Superstore from using the buySAFE solution during the holiday selling season. MobileDemand Introduces the xTablet C1200 Convertible Tablet PC Exceptional Performance, Durability and Anywhere Connectivity for Mobile Professionals on the Go -This versatile device quickly and easily transforms from a rugged laptop to a Tablet PC making it ideal for field service (utilities, maintenance and repair, and insurance), military, public sector (fire, law enforcement, public safety, and inspections), health care, agriculture, delivery and other mobile applications. MobileDemand, manufacturer of rugged xTablet PCs, introduces the rugged, high-performance xTablet C1200 convertible tablet specifically designed for the always-mobile professional who needs superior connectivity and access to business applications anytime, anywhere. 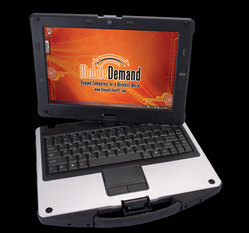 This versatile device quickly and easily transforms from a rugged laptop to a Tablet PC making it ideal for field service (utilities, maintenance and repair, insurance), military, public sector (fire, law enforcement, public safety, and inspections), health care, agriculture, delivery and other mobile applications. 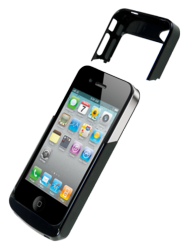 The easy-grip handle lets mobile professionals quickly grab it and go. TrusCont Brings USB Duplicators to a Whole New Level - A new generation of systems capable of duplicating both flash and optical media simultaneously. 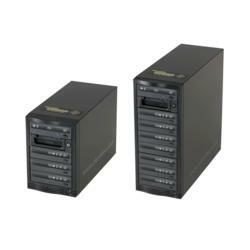 These systems incorporate USB 3.0 architecture and features never before seen in USB Duplication. TrusCont Ltd. a leader in Digital Rights Management and Content Delivery solutions, announced today the creation of its USB Duplicators Division. TrusCont is poised to service the growing demand for publishing high value commercial data and intellectual property on USB Flash Drives. The USB Duplication division focuses on the manufacturing and marketing of its all-in-one content publishing systems. These systems Incorporate File Repository, Remote Administration, On-Demand production, and all of TrusCont's hi-tech security and publishing solutions. Through the TrusCont Content Publishing Server (TCPS) product line, TrusCont brings USB Duplication to a whole new level. The top end model, the TCPS-1604, is the world's first all-in-one Content Publishing Server that was introduced by TrusCont last May at the MediaTech Expo in Frankfurt. The TCPS-1604 incorporates technologies never before seen in USB duplication systems. Features such as USB 3.0 architecture, Remote Admin, File Repository, Copy Protection, Digital Rights Management, and On-Demand capabilities are exclusive to the TrusCont content publishing systems. With the creation of its USB Duplicators Division, TrusCont announces two additional models of Content Publishing Servers, as well as a do-it-yourself USB 3.0 Duplication Kit that customers can use to build their own solutions, and a software only product. Reality Synthesizer GPU Professionally Reballed by PSR, Inc. Now Reballing the Sony PS3 RSX-GPU - The Sony PS3 has several issues that are directly related to the Reality Synthesizer, Graphics Processing Unit commonly referred to as the RSX chip or the GPU. 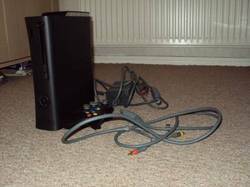 The most common of many problems is the YLOD, Red Blinking light, No video and Video Pixilation. The only repair solution is to replace or ReBall the RSX-GPU. The most common of the many problems is the YLOD, Red Blinking light, No video and Video Pixilation. The only repair solution is to replace or ReBall the RSX-GPU. There are dozens of repair shops that work on the Sony PS3 units, but they are not ReBalling the RSX-GPU, they are reflowing the board in an infrared oven or simply heating the chip. This is a band-aid covering the real problem and will never be reliable. 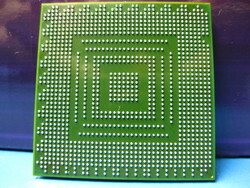 The Solder balls under the chip must be removed and replaced with new. The chip can then be soldered back onto it's host motherboard. This is a very delicate and time-consuming process that takes specialized equipment and weeks of technical training for even the most seasoned veteran. SpeedUpMyPC 2011 from Uniblue has been Launched - Uniblue’s popular computer performance software has been released with new and improved functionality. 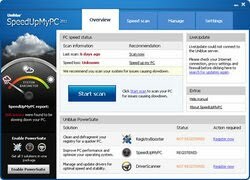 The 2011 version of SpeedUpMyPC has just been launched and combines a professional range of tools to boost a computer’s speed and output, all via an easy-to-use interface. First launched in 2003, Uniblue SpeedUpMyPC is an award-winning software utility aimed at the home PC-user, and is user-friendly even for novice users. SpeedUpMyPC has proved useful to countless PC users worldwide who have been annoyed by slow start-up, shut down and program opening times, PC crashes and a general deterioration in computer performance. The software optimizes system settings, clears the junk, improves memory function shuts down unnecessary processes and synchronizes tasks for better execution. After scanning the PC to identify files, processes and settings that cause slowdowns, SpeedUpMyPC undertakes a number of effective tweaks to boost system resource management, to optimize network settings and to remove junk files that can have a negative effect on PC performance.